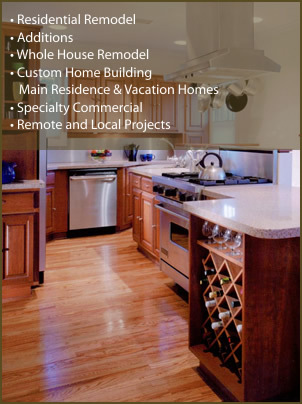 Castle Rock Custom Builders is owned and operated by Matt Plahuta. 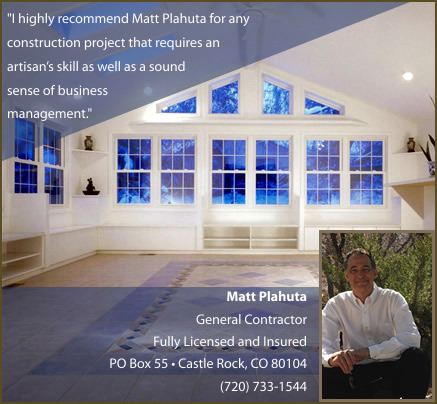 Matt is a licensed general contractor in Castle Rock, Colorado, with over 30 years of experience as a home builder and in construction. Upscale remodeling projects require an artisan's attention to detail, a business-owner's attention to budget considerations, and a professional project manager's skill in coordination. You'll find that Matt Plahuta possesses all of these plus a creative talent and an ability to make your custom building project a reality.